It’s a week of green and gold… Sound like something fit more for Stampede parties? Or Stampede recovery? So plan ahead. Sweet dreams await, for when we get on with our beautiful summer lives. Our dreamy bed this week features tones of green, gold and natural. All in soft, pure Organic cotton. 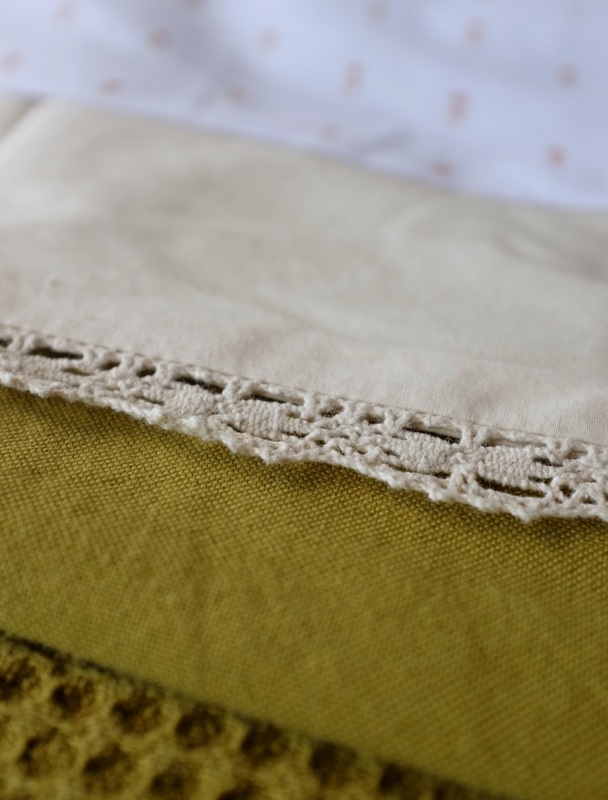 The top layer is the Coyuchi Lattice Coverlet, in Green-Tea. 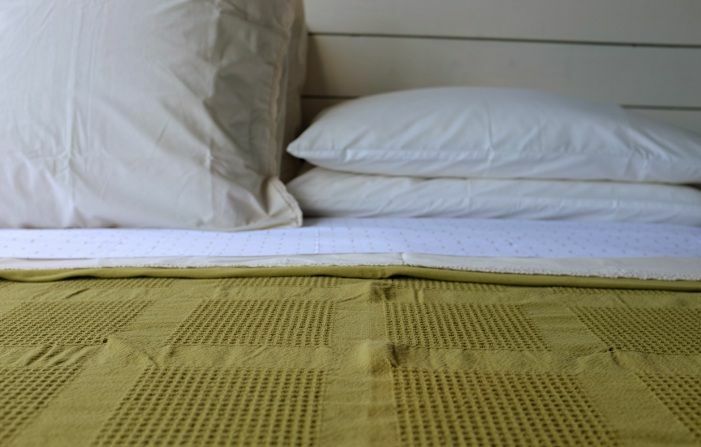 The Organic cotton light waffle weave is soft, comfortable and just warm enough. 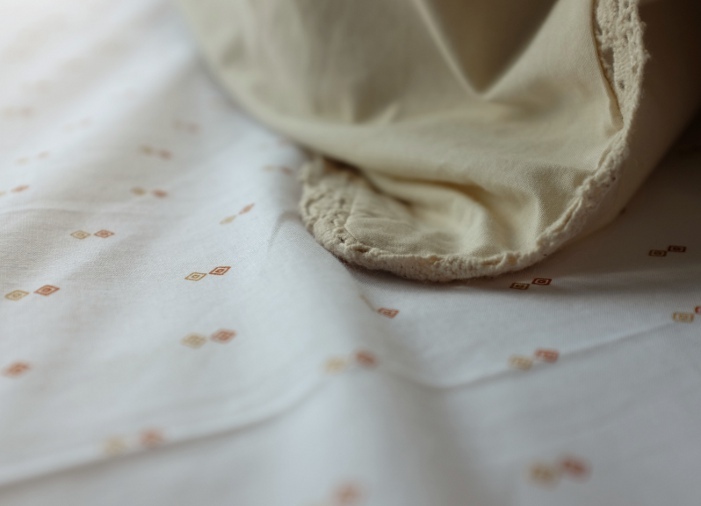 And keeping it subtle, with a gentle tone on tone contrast, are the Coyuchi Percale Lace trimmed pillowcases and top sheet, in Natural unbleached organic cotton. And how’s your pillow treating you these days? Time to think about an upgrade? Our feature pillow this week is the OMI Wool Wrapped Shredded Rubber pillow. The shredded rubber has always been a popular choice in our organic pillow department, because of the soft, supportive comfort and ability to customize it to your needs. But the Wool Wrapped has added another element of comfort with the pure wool layer surrounding the shredded rubber-foam center. This wool layer add firmness and a bit of stability, without losing the ability to shape the pillow to your needs. The moral of the story: if you’re looking to set up for some post Stampede, mid-summer R&R, check out this green, gold and diamond collection. And, as always, great sleep included!